Did you know that not only do Two Chimps sell coffee online for you to drink at home, but we also supply ethically sourced wholesale coffee? We are committed to offering our coffee to a select number of establishments who in turn are committed to excellence and, furthermore, are always striving to do the best. We are super picky! Otters Fine Foods in Oakham is the latest to join the troop. Established in 2011 on Mill Street, Oakham, Leo and his team soon outgrew their first venue. They moved to larger premises (still on Mill Street) in 2012. With this, they introduced a café which uses ingredients available to purchase from their deli. They offer everything from breakfasts to light lunches, teas to soft drinks, house blend coffee and now, an ever changing guest ethically sourced wholesale coffee from us. The deli at Otters stocks products and ingredients from around the world. They can even source something specific for you. For instance, have you tried a particular cheese on holiday and loved it? Set the team the challenge of finding it again for you. Along with their café on Mill Street you can also buy direct from their website too. Order online at www.ottersfinefoods.co.uk and have your order delivered to your door. Along with their house blend, Otters are now serving a lighter, sweeter alternative through a separate grinder. This guest coffee will change from time to time, allowing you to try a different coffee each time you visit. Albeit the coffees will change, they will always be single origin coffees. Chosen for their distinct characteristics and roasted lovingly, by hand for you to enjoy. 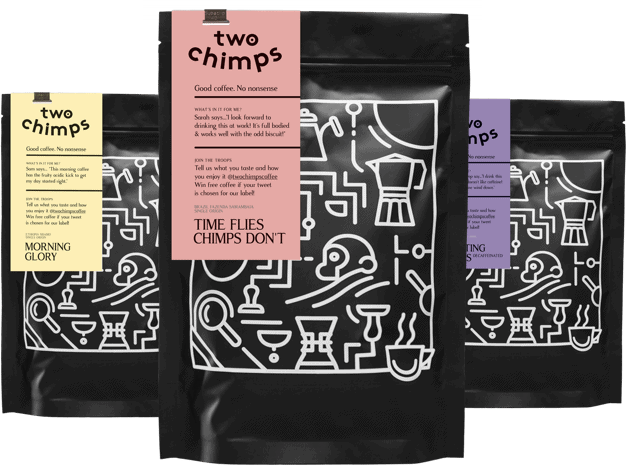 Both coffees, the guest coffee from Two Chimps and the house blend, are available to take away or to drink in. Just ask your server what the guest coffee of the minute is and the staff will be able to tell you the name and origin, plus a few tasting notes to help you make an informed decision. So, get down to Otters Fine Foods and ask for a cup of Ethically Sourced Wholesale Coffee today.